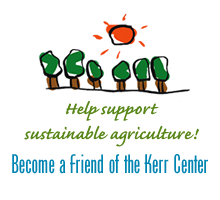 The Kerr Center revived its horticulture program in 2008 with demonstration trials of heirloom okra and sweet sorghum. In 2009, we continued our focus on heirlooms with plantings of summer squash and tomatoes. 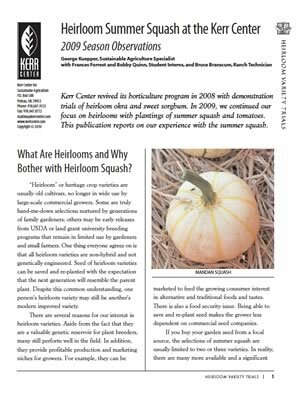 This publication presents the results of our summer squash trial. This publication presents the results of our 2009 heirloom tomato variety trial. This document discusses interesting observations we made in our 2010 heirloom tomato variety trial. This report presents the results of our 2010 grafted heirloom tomato variety trial.